Imagine the capability of a truck combined with every unique advantage offered by the Jeep Wrangler – including a removable top. That’s exactly what drivers will find when they test drive the new 2020 Jeep Gladiator. Learn more about rebooted Jeep pickup today at Lake City Chrysler Dodge Jeep RAM. Jeep changed the perception of pickup trucks when developing the all-new 2020 Jeep Gladiator, designing the only midsize truck to offer open-air driving. With hardtop and soft top options, you can stay protected from the elements or you can embrace them. The new Jeep pickup truck also offers unmatched towing and payload capability, unrivaled off-road ability and a whole lot more. 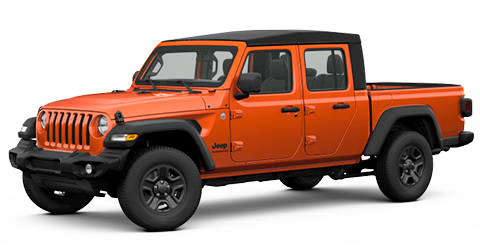 Find the 2020 Jeep Gladiator for sale today at Lake City Chrysler Dodge Jeep RAM – a renowned Jeep dealer serving Lake City, Gainesville and Live Oak, FL. After years without a truck in its lineup, Jeep aimed straight for the top, manufacturing a pickup with multiple best-in-class capabilities. With extreme power and innovative engineering, the new 2020 Jeep Gladiator can carry and pull more cargo than any other midsize truck on the market. When properly equipped, this revolutionary 2020 Jeep Gladiator model offers a best-in-class 7,650 pounds of max towing capacity. Drivers can also load up its cargo bed for a massive 1,600 pounds of max payload – that’s also the best in its class too. Not only does it beat competitors like the 2019 Ford Ranger and Chevrolet Colorado in towing and payload, the 2020 Jeep Gladiator offers useful features to separate itself even further. Drivers can utilize an available roll-up tonneau cover, a 155-volt power outlet and a versatile 3-position tailgate. Discover industry-leading capability and more in the all-new 2020 Jeep Gladiator. 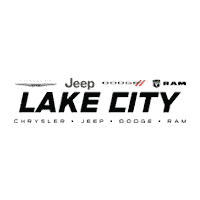 Schedule a test drive at your trusted Lake City, FL car dealership – Lake City Chrysler Dodge Jeep RAM. Another thing the 2020 Jeep Gladiator has that other midsize pickup trucks don’t is legendary Jeep capability. Every Gladiator is fitted with heavy-duty Dana® 44 front and rear axles along with a dynamic 4×4 system that offers both high and low range. 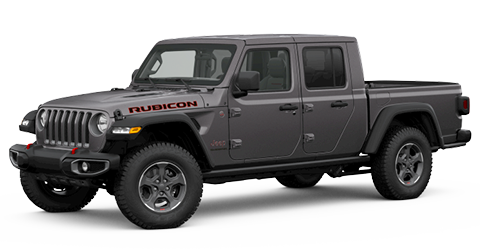 Along with this standard equipment, the new 2020 Jeep Gladiator offers a wealth of available off-road technology. Opt for features such as an electronic disconnecting front sway bar, FOX shocks, lockable wide track axles and 33-inch all-terrain tires. For a cutting-edge approach to adventure, drivers can also opt for an industry-exclusive forward-facing TrailCam Off-Road Camera designed to enhance your off-road navigation capability. This midsize truck is truly designed to go where no truck has gone before. Discover the new 2020 Jeep Gladiator for sale today at your Lake City, FL car dealership. Visit Lake City Chrysler Dodge Jeep RAM today. While its Wrangler-like capability opens the door to off-road excitement, the 2020 Jeep Gladiator provides good times in any driving conditions using state-of-the-art cabin technology. Drivers can opt for an available 8.4-inch touchscreen – the largest in its class – and Jeep’s exclusive Uconnect® 4C NAV infotainment system. This brilliant interface offers access to Apple CarPlay™, Android Auto™ and whole lot more. The 2020 Jeep Gladiator also offers an available removable Bluetooth® wireless speaker. Meanwhile, available leather-trimmed seats add an element of class to every adventure. Make every moment count when you’re behind the wheel. Test-drive the all-new 2020 Jeep Gladiator at Lake City Chrysler Dodge Jeep RAM. Visit your trusted Lake City, FL car dealership today. There’s no more dreaming required. You can find the Jeep Gladiator for sale once again, and we have it at Lake City Chrysler Dodge Jeep RAM. Learn more about the 2020 Jeep Gladiator’s various trim levels and configurations, plus its wealth of available options. If you’re searching for an all-new adventure, get into an all-new midsize truck like the 2020 Jeep Gladiator. Reserve Your 2020 Jeep Gladiator Pickup Test Drive Today! We’ll stick with you through your entire journey as well. Our expert Jeep auto finance team is available to help you find the best possible car lease or loan plan. We’re also here to keep your Jeep truck running at its peak for as long as you’re on the road at our certified Jeep service department. Visit today at Lake City Chrysler Dodge Jeep RAM – your hometown Jeep dealer serving Live Oak and Gainesville, FL.